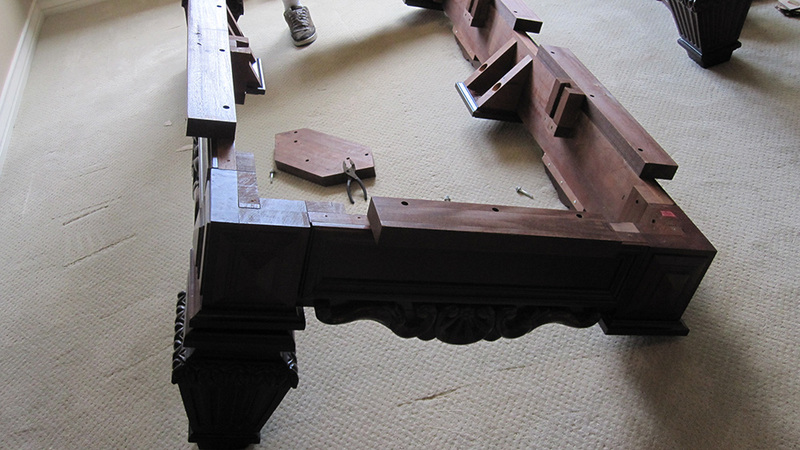 This week we were called out to set-up and recover this Brunswick “Dark Knight” pool table. The Clients had just relocated from Mississippi to Coto de Caza,CA. 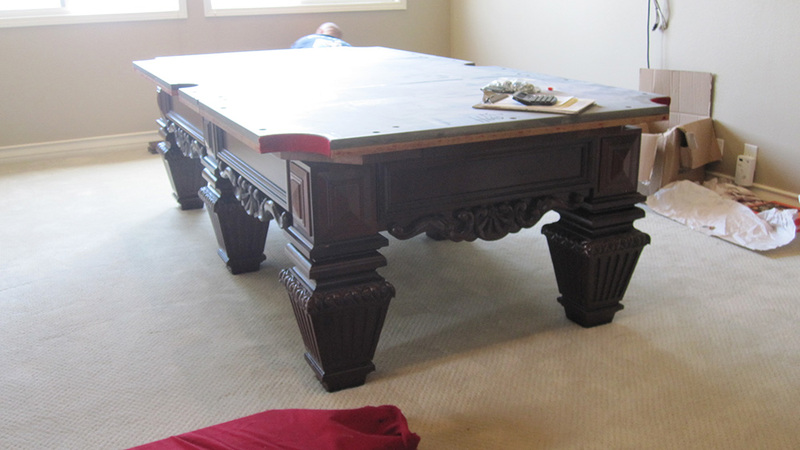 Their upstairs room was a pretty good fit for this over-sized 8′ pool table. The clients were supposed to come down to our showroom to pick out a felt color but were not able to due to busy schedules. 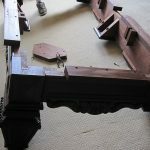 For this reason we were not able to finish the job. 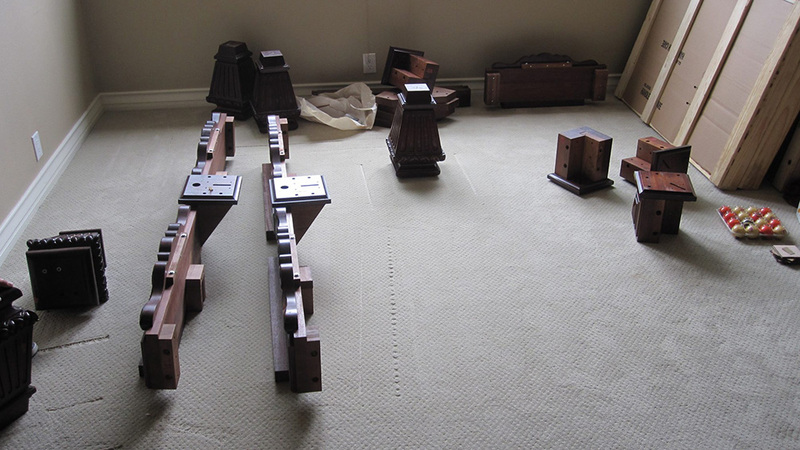 When we arrived at the house, all the pieces to this puzzle were already upstairs for us. 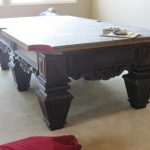 When we finished building the cabinet the Mrs. and I discussed the proper position for this plus-sized pool table. We also discussed changing the felt color from burgundy to marine blue, the Mrs. consulted with her son about the new color. He also agreed on the marine blue, so with the pool table’s position and felt color chosen we started to uncrate the pool table slates. When a pool table is move across country it’s a good idea to individually crate up the slates to protect them from damage. Once we have all the slates uncrated, I inspect each one for damage. Each slate looked like it survived the long trip from Mississippi. Anthony and I laid each slate on the cabinet, I located the original slate screw holes and screwed each slate down to the cabinet. At this point we were done, I recommended to the Mrs. that we allow this six legged beast of a pool table to settle into the carpeting for a week or so before we finish the set-up.